There’s more to Infiniti’s enthusiast’s cars than Red Sport, a fact that the 2017 Q50 3.0t Sport AWD would like to underline. It may not have the highest tuning, but with 300 horsepower underneath its well-styled flanks there’s plenty of reasons to bypass BMW’s showroom and opt for a something more out of the ordinary. 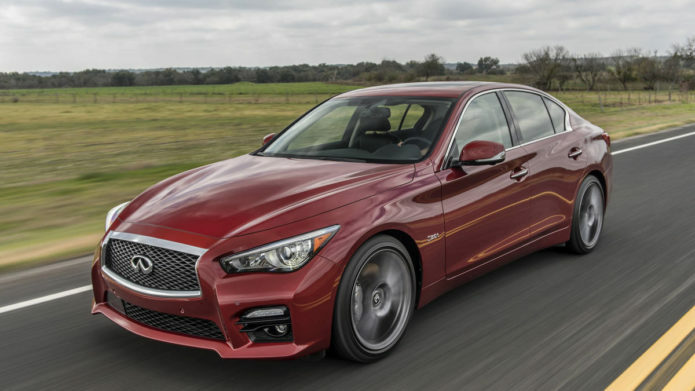 That’s Infiniti‘s case on paper, anyway, but does the Q50S deliver on the road? The Q50S isn’t the most handsome car in Infiniti’s line-up – I’d give that award to the Q60 coupe – but it’s definitely curvaceous. Even in a more discrete finish, like the Iridium Blue of this particular car, it’s a handsome beast. It also hides its size well, falling somewhere in-between the 3 Series and 5 Series that Infiniti so clearly wants to take on.